Carolina Forest is just four miles west of Myrtle Beach, South Carolina. There are many Carolina Forest homes for sale, and this Myrtle Beach suburban community offers affordability and elegance, all within minutes of the beach and Coastal Carolina University. Real Estate in Carolina Forest varies from neighborhood to neighborhood, so when you’re searching for choices at every price point, you've come to the right place! 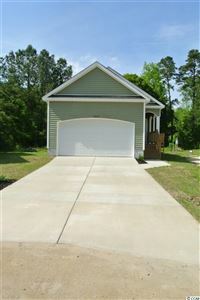 Take a peek at The Farm, one of the many subdivisions within Carolina Forest. The Carolina Forest neighborhood offers custom-built, luxury homes as well as "spec" homes, townhomes and condominiums. There are communities such as Plantation Lakes, Covington Lake, Waterford, Walkers Woods and The Farm to mention just a few. Plus there are residential building lots in most subdivisions in all price ranges. 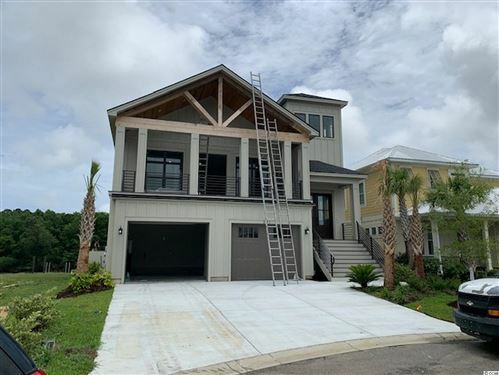 You can find many homes for sale in Myrtle Beach, but you’ll find real estate in Carolina Forest offers the ultimate in selection with a wide variety of home sizes, prices, and styles. There are lakefront and wooded properties, golf course properties, condos and townhouses. So, whether you’re looking for a primary residence, second home, investment property, or residential lot, Carolina Forest is perfect for the real estate buyer. Carolina Forest is just minutes to downtown Myrtle Beach and its famous public beaches. Because it is centrally located, near routes 501, 31 and 17 you can reach all parts of the Grand Strand or head north to Conway within minutes. A variety of banks, stores, golf courses, and restaurants plus service providers like veterinarians, insurance agents, dentists and doctors can also be found within Carolina Forest along with top-rated schools, newly constructed schools. In this video you can take a look at Walkers Woods, a subdivision where buildable lots are still available. Whether you’re in the market for homes or buildable lots, you’ll find what you are looking for in the categories on the left side of the “Communities Served” page. To learn more about the entire Myrtle Beach area, choose any community from the tabs at the left. For Carolina Forest properties, check out the Carolina Forest tab. Take a look at the diversity of real estate in Carolina Forest and see for yourself why this is a convenient and affordable neighborhood in Myrtle Beach. We’re here to help! If you have any questions about Carolina Forest or Myrtle Beach real estate please call RE/MAX Southern Shores at 843-839-0200. We have the knowledge and experience to handle your important sale or purchase. RE/MAX Southern Shores sells more homes and lots on the Grand Strand than any other agency, so you can be confident you’re working with the most knowledgeable Myrtle Beach real estate professionals available when you partner with a RE/MAX Southern Shores agent. For more information about buying or selling a home or lot in Carolina Forest, please call your neighborhood experts at RE/MAX Southern Shores at 843-839-0200.